Jhumpa Lahiri is an American Indian writer born in London in 1967, but they moved to America two years after she was born. Lahiri's parents were first generation Bengalis from Calcutta and settled in Rhode Island where her father got employed at the University of Rhode Island, a position in the library. Lahiri’s mother, on the other hand, worked as a school teacher. The story of her life reflects what she writes in most of her works meaning that her stories are based on most of her life experiences if not all. The characters in the Hell-Heaven story bring as close to her life where the story talks about a Bengali family. The family originates from Calcutta where the narrator’s mother and father move to Berlin as her father attended the school of microbiology there. The family later moved to America after her father accepted a job as a researcher in Mass General. The narrator by the name Usha begins the story by telling of a young man by the name Pranab Chakraborty who is also an immigrant from Calcutta and came to America to further his studies. Pranab later becomes a friend of the family, and they even feel like he is part of the family. Usha’s mother becomes fond of him, and she longs to spend more time with him (Lahiri). The story identifies more with the author’s real life than any other story. Other than the family, we see an additional character who is Deborah, and we see the consequences of her presence as she affects the life of the narrator’s mother greatly. Lahiri focuses the story on the struggles of being an immigrant and trying to fit in amidst the confusion brought about by the cultural shock for the first generation of the immigrants and the riff between the two for a second generation while trying to determine which one to follow. 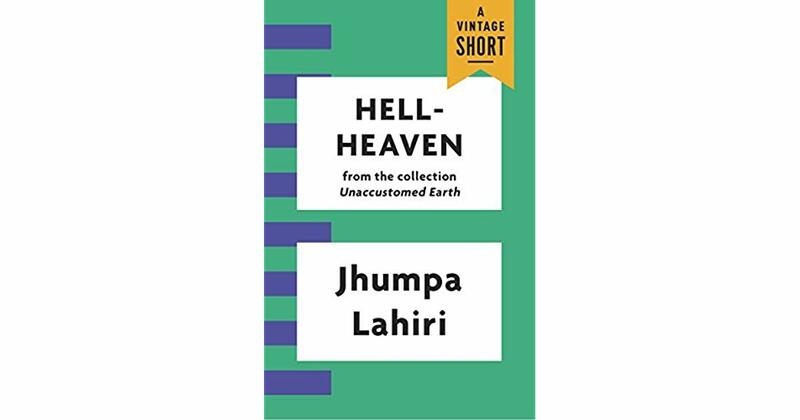 The first critical article to be referred to in this paper will be that of Dr. Anil S. Sugate, Home, Hybridity, and love: Diasporic Relocations in Jhumpa Lahiri’s Hell-Heaven. Dr. Anil presents a clear idea of what the hell and heaven mean in the context of the story. An example of an indicator he uses to explain hell is the situation of the narrator’s mother. They move to America for the sake of her husband, and she is, therefore, living a very dull life and only waits for the moments when her daughter gets home as she is not employed. Her husband is also not a cheerful person, therefore, making the life more boring and unbearable. An instance of heaven is where they meet with Pranab, and they become friends. Pranab becomes part of the family and the narrator’s mother finds new happiness when spending time with Pranab. She seems to look forward to spending time with Pranab every day. Dr. Anil also proposes the idea of home for the people in the story as being heaven and the alien land which as America being hell as they have to change their ways to adapt to their new environment (Sugate 1). The second article that this paper will borrow from is that of Dr. Mr. Chandran and T. Senthamarai. Female Diasporic Sensitivities in Jhumpa Lahiri’s Unaccustomed Earth. The article takes a general analysis of the entire book as the themes contained in the stories are similar. Our focus in this, however, will be in areas relating to the Hell-Heaven story. Dr. Chandran on this paper focuses on the diasporic alienation of the characters in the stories contained in the book. He focuses on the cultural shock the characters experience in the new country as they try to identify with a culture as they feel displaced. The alienation can be felt for example when Pranab gets homesick and decides to abandon his dreams and go back to Calcutta because the life he experiences in America is not the life he is used to at home. The same can be seen with the narrator’s mother who tries as much as possible to maintain her culture by way of dressing as she does not want to lose her identity. This paper unlike the two above will look at the main characters and try to explain that as much as they feel alienated from the American culture, it is through holding on to the traditions they practice at home that they are not able to adapt to the country’s traditions easily. Usha is a second generation Immigrant from India and knows nothing about where her parents come from. The only information she has about her origin is what she has learned from her mother. The culture she knows is the American as this is where she has grown up, and it is what she has experienced. Usha gets it hard to relate to her mother as her mother imposes traditions she knows nothing about on her. The whole idea, therefore, makes her feel alienated, and as Dr. Anil put it, her home with her parents is hell. Her heaven is when with Deborah who she feels comfortable with as she can speak English freely not like home where she is forced to speak Bengali (Sugate 6). Although Usha remembers her life in Berlin, she does not get overly sentimental about it hence being able to adapt very easily to the new environment which is America. Pranab is a character introduced to us by Usha at the beginning of the story. Usha refers to him as Pranab Kaku which meant uncle although he was not anything close to an uncle. Pranab first encounter with the family was a day he had stalked them after he had realized they were Bengali. Pranab represents first generation Indian immigrants to America. Unlike Usha, Pranab finds it hard to adapt to the alien land at the very first time where he holds on to his Bengali culture until he cannot cope with the American environment anymore. The difficulty in dealing for Pranab could be felt when the narrator explains the hardship he hard to go through during the first few months of his stay in America. One of them is that Pranab lost weight as the life in America was not what he was used to at home in Calcutta. Pranab never used to do anything for himself as he came from a wealthy family. Usha explains that by the end of the first week of his arrival, Pranab had resolved to pack his bags and leaving America for good but changed his mind at the last minutes. The situation was hell to him, and he needed a heaven which was home and the familiar environment he was used to in Calcutta (Sugate 3-4). He was trying to look for something that could remind him are could connect him to home, but he could not find it. It is until he meets the Usha and her mother that he feels that America could be welcoming after all. The dedication that he has in following the two and finding out whether they were Bengali was a clear indicator that he was desperately looking for a connection with his culture and his roots. Pranab later on in the story gets attached to Usha’s mother to quencher his cultural shock. The two share a lot in common considering that they both come from the same area back in Calcutta and their interest in food, music, Poetry and politics. The aspects made him feel at home even though he was still in America. It is an aspect of life that he could have avoided if he was more open to the American culture and welcoming enough to change. If he was, he could not have been in a desperate need to spend time with Usha’s mother for him to feel like he was at home. Pranab could have spent more time exploring America and learning how the country works and how to adapt. The time Pranab spent with Usha’s mother became more valuable to him, and he became more comfortable in America, a situation indicated by him buying a vehicle. The act was an indication that Pranab had felt the comfort of being home with the little that the family was offering and was ready to let go and adapt the American life. The change was helpful as it was a situation Dr. Anil would refer to as heaven created in the alien land (Sugate 5). Pranab started taking Usha and her mother on tours using the car that he bought which was an indication that he was ready to let go the barriers that he had created and those that prevented him from exploring the world. It was through bringing down the barriers that he was able to open up and interact with Americans from an individual level and to spend time with someone from his hometown. Pranab got into a relationship with Deborah who was an American lady with no attachments with the Bengalis. The relationship got serious, and they even got engaged which came with cultural issues. Pranab had a wife chosen for him at home where he was expected to return after his study and marry as the customs of marriage for Bengalis dictate. He however rebelled and went ahead to marry Deborah without his parent's blessings. The rebellion was an indication of him fully adapting to the American life just like Usha at some point in her life where she went behind her mother’s back and went to parties with friends even though her mother did not approve of this. Through this, Pranab attained a level of happiness just for a while as after 23 years Deborah and Pranab divorce as he resolves to have an affair with a married woman from his roots. Usha’s mother is a conservative lady whom from the beginning of the story we see trying as much as possible to connect with her culture even in the alien land. She dresses like a Bengali woman as identified when they first meet with Pranab and also cooks the Bengali traditional meals as she offers Pranab the meal he has missed most since he arrived in America (Dr. M.R. Chandran and Senthamarai 546). Usha’s mother just like Pranab finds comfort in spending time with him and feels a real connection with home one that she never felt with her husband as their marriage was an arranged one. Usha’s mother even looks forward to the arrival of Pranab where she even prepares herself psychologically what to cook for the following week. The situation however changes and she goes back to the dull moments after Pranab gets into a relationship with Deborah. It is not until she lets go some of her traditions and adapts to her environment that she attains true happiness at the end of the story where she even connects with her husband.